• Full cover of the door. Our vertical air curtains help promote the perfect environment whether warm, or ambient – creating a comfortable climate for customers and employees. Vertical air curtains promote open door trading in retail outlets by providing uninterrupted access for passing trade, and promote significant energy savings. Our vertical air curtains are not only easy to install but also easy to maintain throughout their serviceable life. Comes complete with a switch box controller. 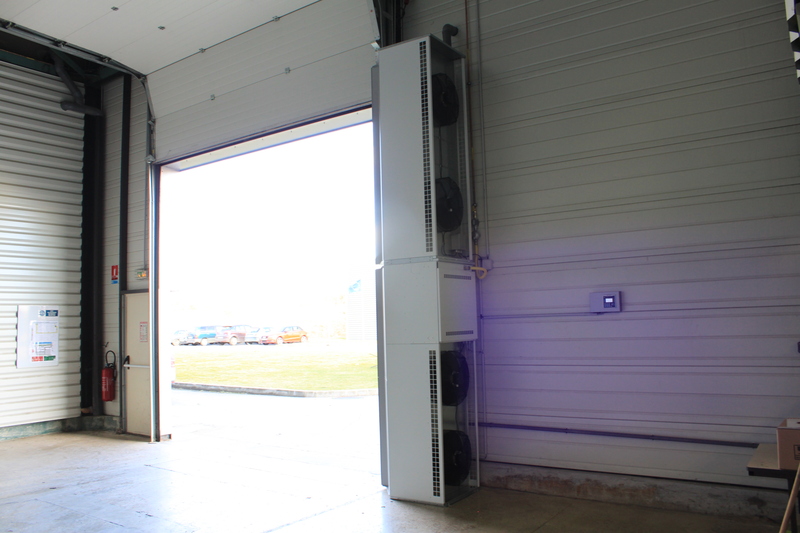 The Flexiheat Vertical Range is ideal for medium to large sized buildings with a high pedestrian flow that require high output of air such as industrial doors at airports, shopping centres, factories and warehouses.. For extra wide doorways, placing a unit either side of the entrance creates a more efficient thermal barrier. We now have developed a new and improved industrial and commercial vertical air curtain, which uses the ambient air , these vertical door air curtain units can be used in different combinations of lengths to cover roller shutter doors or up and over doors that are 6 metres high, in a vertical door air curtains configuration.There are two models or modules of these vertical ambient air curtains, the first is a 1.5 Metre long unit and the other is a 2 Metre long unit. 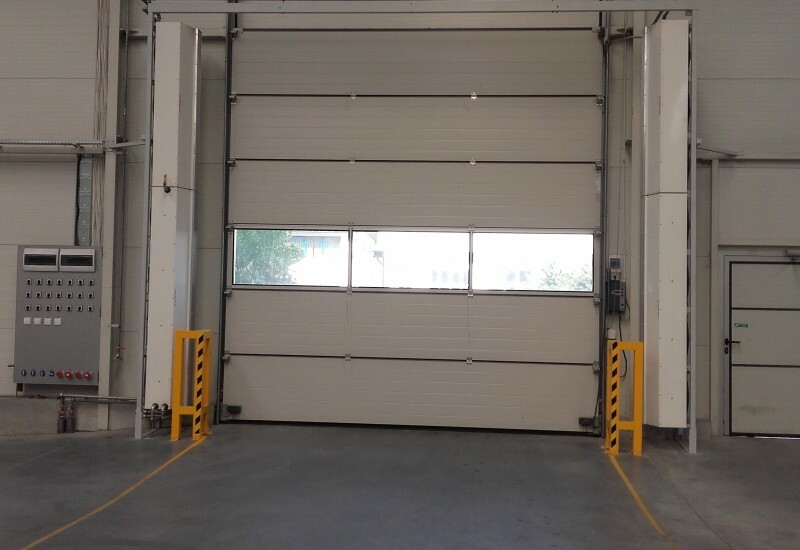 They are basically modules that can be coupled together to make up your desired height for your industrial or commercial overhead roller shutter type door that you need to cover- not exceeding 6 metres in height.This range of commercial and industrial vertical air curtains is designated the “FHIAC” range, and look like the below picture when installed on a commercial / industrial door. Ambient temperature is the air temperature of any environment where the vertical air curtains are installed. The adjective ambient means “relating to the immediate surroundings.” Thus the air pushed through these air curtains is the air temperature of the building or warehouse in which they are installed. Should you require anymore assistance or information on our Vertical Air Curtain range – either ambient air or gas fired or Vertical Door Air Curtains , please don’t hesitate to contact our sales team on 01202 822221 or click here for our email contact form.